(VEN) - The first of its kind festival at the Ban Gioc waterfall will be held in October to promote the largely unknown site on the Vietnam-China border, dubbed one of the most impressive cascades in the world. 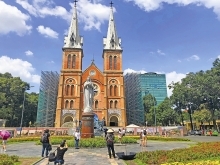 The festival is expected to serve as the first step in building and developing high-quality tourism products in the surrounding Cao Bang Province’s district of Trung Khanh. The festival will include art performances, an ethnic fashion show, folk games and cooking contests. The Cao Bang Department of Culture, Sports and Tourism will also coordinate with Trung Khanh District to organize traditional Then singing and the Dan Tinh (gourd lute). Trung Khanh is a border district in the northeast of Cao Bang Province, adjacent to China’s Guangxi Province. The district has great tourism potential, especially the Ban Gioc waterfall and Nguom Ngao cave. The Ban Gioc waterfall is considered the biggest waterfall in Southeast Asia, and the fourth biggest natural waterfall in the world located on a national border line. 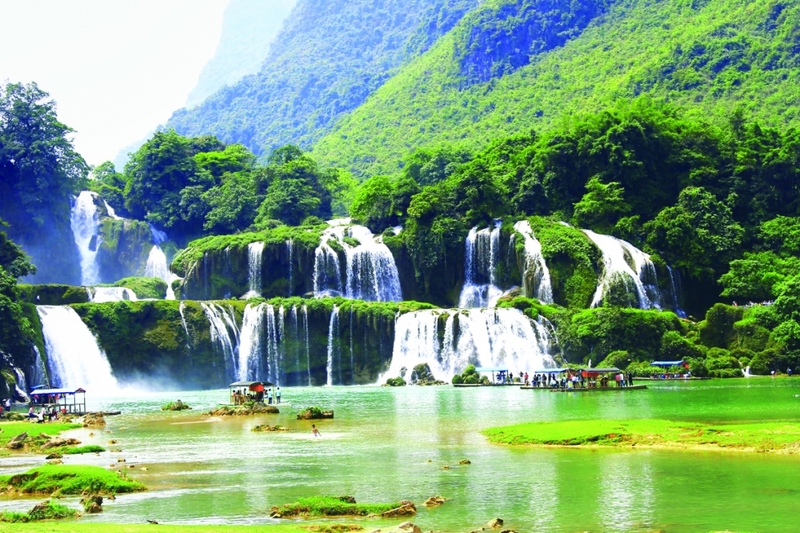 On August 17, the People’s Committee of Cao Bang Province and the Ministry of Construction announced a master and detailed plans for developing the Ban Gioc waterfall tourist site. The announcement aims to call for investment from enterprises to turn the Ban Gioc waterfall into a key tourism site of the northern mountainous province and the nation, contributing to boosting the development of the province and the region. Under a plan approved earlier this year by the government, some 1,000ha of land will be zoned off for the Ban Gioc waterfall tourism site, which hopes to welcome 750,000 visitors by 2020 and 1.2 million by 2030. Accommodation services will increase from 1,010 rooms by 2020 to 1,750 rooms by 2030. The tourism center is designed to consist of the Ban Gioc waterfall landscape, scenic areas along the Quay Son River, hill and mountain ecological landscapes and agricultural ecological landscapes. The Ban Gioc waterfall landscape will be built on 20ha to preserve and develop standout landscape such as the main waterfall and auxiliary waterfall, paddy fields, pine tree hills, creeks and perennial trees. River tourism, decorative wood bridges and wharves will be developed in the scenery area along the Quay Son River. The waterfall has two parts with the main lower part in China, and the higher part in Trung Khanh District. It is 53m high and 300m wide and has three levels of smaller waterfalls.